Rockland, the Original Premier Neighbourhood of Victotria. Rockland Ave was where the who's who of Victoria resided back then due to it's relatively close proximity to the downtown core which was very important back then before the advent of the automobile when horses and horse drawn carriages were the norm for getting around town other than on foot. Areas like Oak Bay were then completely off-limits for residential development and were strictly used for farming being comprised of mainly very large acreages. 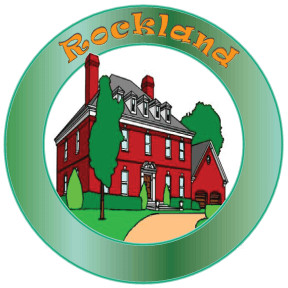 Rockland was also of a topography that sloped dramatically towards the water, therefore offering good water views from most of the early homes built there as well as an interesting streets scape and ambience. 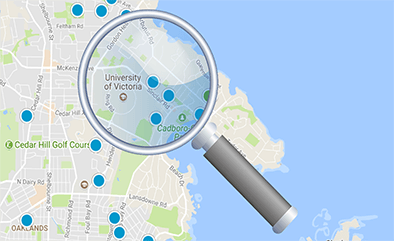 A substantial increase in real estate values began in the mid 1880's in Victoria when the population was increasing rapidly and streetcars were introduced. This was a period of booming construction when many of the fine homes went up on Rockland Avenue. 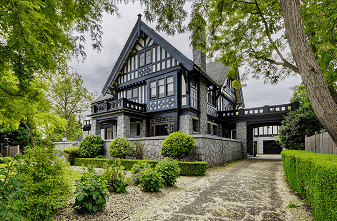 Robert Irving, whose "Gisburn" residence on Rockland Avenue was a showplace of the time; Julius Brethour, a powerful North Saanich farmer-politician and his brother Henry. Built around this time were the dwellings of Judge Harold Robertson at the northwest corner of Rockland Avenue and St. Charles Street, J. Wilson at 811 St. Charles Street, and of Bert Todd almost next door (No. 841). Todd sold his dwelling to the Dunsmuirs who changed the name to "Westover," a small town in northwest Virginia for which Mrs. J. Dunsmuir had great affection. The stables of this residence in Shasta Place, now converted to a dwelling, still bear the name "Westover. "* At No. 1005 St. Charles Street is the former home of Simon Leiser, wholesale grocer, while No. 628 of the same street was built by James Ogden Grahame, son of the James Allan Grahame who married Mary Work. The home at 582 was built by architect * The present No. 841 is the spot where stood the entrance gates leading to the large house "Westover" built by Bert Todd above what is now Shasta Place. Thomas Galpin had his firm managed by P. R. Brown, who later founded P.R. Brown & Sons, Ltd, probably the oldest Real Estate company in Victoria. Other associates of Galpin were Arthur Wolfenden and Cuyler A. Holland, whose home on Rockland Avenue is mentioned above, B.C. Land & Investment was Victoria's principal marketer of lands during the 1900-14 boom. Rockland Ave, was the street of famous men and famous homes at that time. 1300 Former site of "Gisburn," built in 1880's and owned succes­sively by Robert Irving, J.B. Hobson, retired financier, and Jack Rithet. 1322 Caroline Macklem home. Built in 1894 for Hewitt Bostock who started the Province newspaper in downtown Victoria. This later became the Vancouver Daily Province. Bostock became a senator and the home was afterwards occupied by J. D. Prentice, rancher. 1462 "Duvals," now Mary Manor apartment house 1560 Built by Duncan Ross, prominent Liberal. 1586 Built 1907 for S. J. Pitts, wholesale merchant. The condition of this house has been much criticized since it was acquired by a junk dealer. 1606 "Dereen," built for noted realtor R. S. Day. 1626 Formerly the home of E. V. Bodwell, K.C. Now owned and occupied by B. Russell Ker. 1630 Builder was lumberman W. J. Macaulay who owned the Chemainus Mill. 1636 This house stands well back on Terrace Avenue almost next to the water tower. 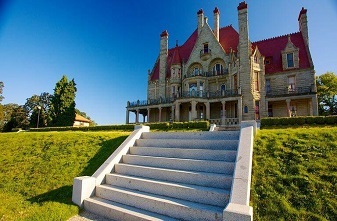 Built in 1892 by W. J. Macaulay (see No. 1630). 1648 "Newholm," built in 1897 for A. S. Dumbleton. Dumbleton had to leave Victoria after litigation involving his handling of trust funds. Many prominent families were concerned. 1770 Built around 1906. Was home of Biggerstaff Wilson, one of the sons of pioneer clothier William Wilson and father of ex­ mayor Richard Biggerstaff Wilson. 1171 "Dundalk," Rockland at Linden, a turreted house built in the early 19oo's by Arthur Jones, who came here as a Scots gentleman from Inverness, but went into real estate. It was built for his brother Dr. Thomas J. Jones, pioneer dentist. 1249 "The Laurels," built in 1885 for Robert Ward, a prominent merchant, who at the height of his career left Victoria for England without any explanation and never returned. The grounds extended to Linden Avenue in the west and south to Richardson. "The Laurels" later became the home of the Collegiate School and St. George's School for Girls. The auditorium of the Langham Court Theatre is a former schoolroom in the grounds of the residence. 1301 Several smaller houses and two sequoia trees mark the site of the former "Oakmeade," a show-house of its time, built in the early r89o's for J. A. Sayward, well-known lumber­ man who also built the Sayward Building on Douglas Street. An old Sayward ham still stands below " Ellesmere" (see No. 1321). 1321 " Ellesmere, " built in 1899 for James Angus, brother of the C.P.R. president. 1365 Believed to have been built in 1812. 1369 "Stoneyhurst," built in the 1870's for Rout Harvey. He arrived here with his family in 1861 and later joined Turner, Beeton & Co., prominent merchants. Harvey built "Stoney­hurst" in seven acres and members of his family lived there until 1906. 1503 Built in 1885 for J.C. Davie, noted physician. The home is in Rockland Place and is now called Rockland Apartments. Dr. Davie was one of five sons brought out from Merton, Surrey, by their father, a member of the Royal College of Surgeons . One son, Alexander Edmund Batson Davie, be­ came a lawyer, went into partnership with C. E. Pooley, married Constance Langford Skinner and was premier 1887- 89, dying while in office. Dr. J. C. Davie created a sensation by eloping with a daughter of J. H. Todd, the industrialist. 1595 Former site of "Gonzales. 1603 Built in 1899 for A. E. McPhillips, lawyer and judge. The old coach house can be seen from Rockland Avenue, but the house lies well back. 1617 Rockland Avenue Hospital built in 1906 by D. J. Angus of Montreal. The site is believed formerly to have been that of Cuyler Holland's house. Cuyler Holland was a prominent realtor and connected with B.C. Land & Investment Co. Now an apartment house. A member of Molson's banking Bank of Montreal. "Hochelaga" is the Indian name for Montreal. Galletly's wife and daughter were drowned with many others in the S.S. Clallum off Trial Island in 1904. His sister came out to keep house for him and he built a smaller house for her at 1737. 1721 Built in 1890 by Henry Dumbleton for his son A. S. Dumble­ton who had to leave Victoria (see No. 1648). 1745 House with granite pillars: built in 1890 for Lyman Duff, prominent lawyer who went to Ottawa. 1759 "Barclay Manor," built in the 1920's by Hon. Walter C. Nichol who was lieutenant-governor from 1920-26. Nichol came to Victoria from the east as a reporter in 1894, bought the Province (see No. 1322) and published it as a weekly in Victoria in the old Presbyterian Church at the northeast corner of Gordon and Courtney Streets. He moved the news­ paper to Vancouver in 1898 where it became the Vancouver Daily Province. Caigdarroch Castle grounds seem to have jutted into the "Duvals" property because the railings round the old Craigdarroch lodge can still be seen between the "Duvals" driveway entrance and Joan Crescent. A few hundred feet northeast of "Duvals" is "The Priory." This house is at 729 Pemberton Avenue and the five-acre grounds were once bounded by Angus Road in the north, Rockland, Pemberton and St. Charles. It was built in 1885 by the Hon. E. G. Prior, coal mine inspector, businessman (Prior's Hardware Store), militia colonel, premier and lieutenant-governor. Prior's first wife was Suzette, youngest of John Work's daughters. The land between "Duvals" and Fort Street belonged to biscuit manufacturer Samuel Nesbitt, the site of whose residence has been a vacant lot since it burned down in 1960. Carberry Gardens off Fort Street formed the driveway to Nesbitt's home, "Erin Hall,". Nearby in Regent's Place is the former home of David W. Higgins, the journalist-politician-businessman whose career is outlined elsewhere. The house at Fort and St. Charles Street is now being renovated and is evidence of the considerable progress Higgins made since pitching his tent on Douglas Street in 1858 and sending his contributions to the British Colonist for which he worked on a free-lance basis. Many of the old money mavens of Victoria who had set up shop in this area lost their fortune during the great Real Estate crash beginning in the early 1900's, and starting at about 1907 in Victoria, when British interests began to pull their money out of the region, and continuing throughout WWI & II and through the Great Depression, etc. In fact, Real Estate values declined so much that they did not recover to their previous prices until about 50 years later, the 1960's, and at half their inflation adjusted values. Most of the former stately Rockland mansions of the wealthy have long since been converted into rental buildings.